We’ve written previously about our initial assessment of the 223 artefacts discovered during excavation of the broch (here). Metal objects will be X-rayed and, where possible, cleaned and conserved. Illustrations will be produced based on the X-rays. A few objects, including an axehead and several possible reaping hooks, were easily identifiable, and a small number of copper alloy objects such as a ring-headed pin were recovered; these too will be cleaned and stabilised by our conservators. A small number of wood fragments, unidentifiable as artefacts, were collected from waterlogged floor deposits; it is likely that identification of species will be the extent of analysis of these objects. A number of bone or antler objects were found, including bone pins, combs and a possible sword pommel. The artefact assemblage will be catalogued and described by our artefact specialists, and a report provided that places the assemblage in context. Given the notable similarities to both Western Isles and Northern Isles broch material culture, particular emphasis will be placed on the assessment of the assemblage in its national context, and whether regional styles or identities can be detected within the character of the artefacts. Selected artefacts from each class will be illustrated to publication standard. Studio photographs will be produced for the most significant objects, and 3D photogrammetry will be undertaken on objects suited to 3D documentation. We will also undertake spatial analysis of artefact distribution, in hopes that this will aid in the identification of activity areas within the broch. Survival of organic material was very good within the broch, and as such many of the deposits recovered were rich in useful botanical remains. Each of the 139 bulk samples recovered will be wet sieved and the resulting residues and flots will be sorted for their archaeobotanical contents. Artefactual and bone material will also be collected and assessed as part of the artefactual analyses. Where identified, insect remains will be collected and sent for specialist analysis. The excavations yielded a large mammal bone assemblage which includes farmed animals such as sheep/goat, pig and cattle, as well as wild species including cetacean, seal and red deer. From this, we will be able to find out more about the range and character of farmed and hunted animals exploited by the broch’s inhabitants, as well as using quantitative data to reconstruct livestock management regimes and identify farming strategies such as dairying. 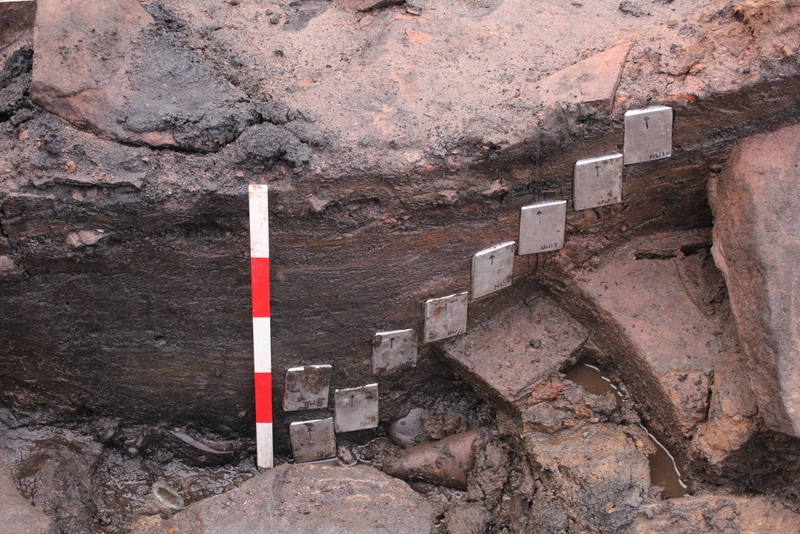 We believe that the floor deposits associated with the three hearths (read more here, here and here) relate to three main phases of activity, separated by refurbishment events related to the rebuilding of the central hearth. Identifying whether these phases of activity took place in close succession or separated by long gaps is one of the key questions to be answered here. We will aim to explore this issue through radiocarbon dating of samples of organic material (charred hazelnut shell, burnt bone, charcoal and charred cereal grains) from carefully selected deposits. Close analysis of floor deposits will be undertaken through soil micromorphology analysis. During the excavations, samples were collected in kubiena tins, facilitating the retrieval of multiple layered deposits all at once. The majority of deposits sampled relate to flooring or waste debris associated with floor or activity surfaces; as such, these samples have the potential to address the nature of the flooring within the broch, the duration and nature of their use as well as evidence for refurbishment and possible abandonment or dilapidation horizons. Our specialist, Lynne, has already begun her analysis of the floor surfaces and was delighted to identify some omnivore poo – it looks as though the broch probably had a few small, mousy inhabitants! You might remember one particularly complex sampling strategy that involved setting up a grid across the broch interior and collecting samples from within each numbered area of the grid. 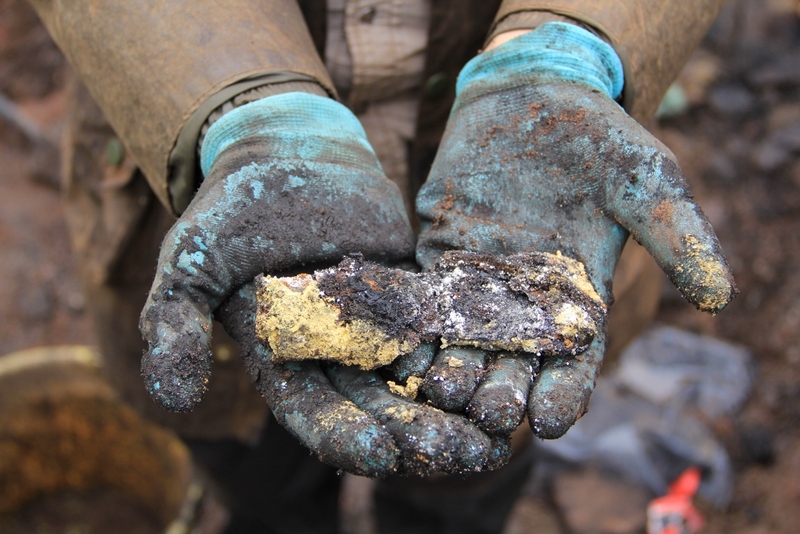 The deposit in question was the thick charcoal layer believed to relate to the catastrophic fire within the broch. 266 samples were collected in this manner, and their analysis should shed light on the layout of the broch, since areas used for different activities should yield different evidence. Several of the carbonised roundwoods sampled were considered to represent structural remains, while patches of burnt grass or reed matter may represent roofing or flooring. In several areas, caches of carbonised cereal grains were recovered. In taking a forensic approach to the analysis of this layer and relating the results to the surveyed sample grid it is hoped that some insight may gained on the layout, flooring/roofing and storage areas of the broch. 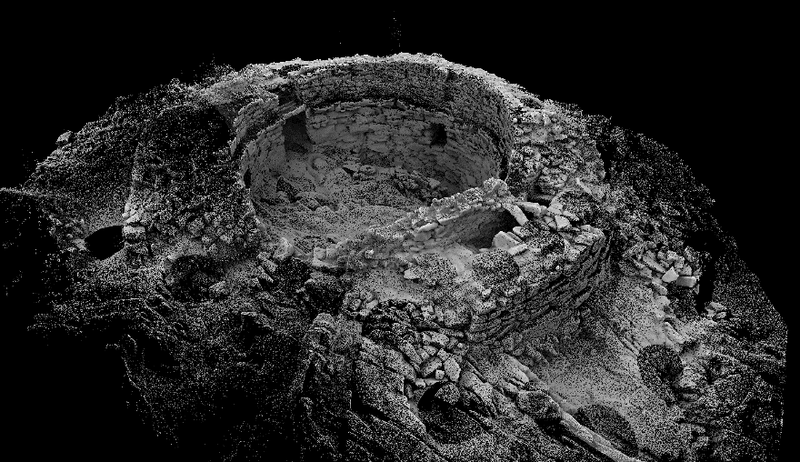 On multiple occasions throughout every stage of the project, the broch was recorded in 3D minute detail using laser scanning and photogrammetry. 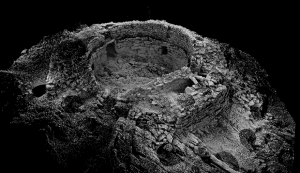 The resulting data contains valuable information on the constructional history of the broch, clues to the original layout and design of the building and evidence for the manner of its collapse. For example, it was noted in the field that numerous areas of the broch wall showed evidence for repair or reconstruction; the 3D data will be interrogated in order to assist in the interpretation of the wall in these areas, so that we might better understand the broch structure. A sediment core was retrieved from the peat deposits immediately to the east of the broch, with the aim of identifying sediments contemporary with the broch and for the analysis of palaeoenvironmental material that might contribute to the reconstruction of the contemporary landscape. The core was collected by Dr Maarten van Hardenbroek of the University of Newcastle and its assessment is the subject of an undergraduate dissertation. The results will be incorporated into the main site report and publication. In addition to the works undertaken at Clachtoll broch, Historic Assynt has led trial excavations at the crannog at Loch na Claise and at the Split Rock vitrified wall. The Split Rock produced pottery very similar in character to that retrieved from the broch excavations, while the crannog yielded organic floor deposits that provided a date in the mid second century BC, contemporary with the date gained from charcoal recovered from the broch interior in 2011. As such, the possibility exists to reconstruct the settled landscape of NW Assynt in the late first millennium BC, with consequent opportunities for a better understanding of the role of the broch in that context. The results of these investigations will be incorporated into the final report on the work at Clachtoll. So, there’s lots still to do, and lots more blog posts still to come! Watch this space for more posts from about the post-excavation analyses, as well as information about the two phases of excavations that were undertaken earlier this year.